Struvite crystals are urinary tract stones that can have various shapes and sizes and when they block the urinary tract. These stones can quickly lead to kidney failure and become life-threatening. They can appear in many types of animals, including cats. Struvite crystals are microscopic crystals that are found in the urine of some cats. Struvite specifically is a material that is composed of magnesium, ammonium, and phosphate, and causes stones that are sometimes associated with urinary tract infections, but not always. The crystals are similar to extremely fine sand, and these small crystal-like formations can irritate the bladder. Additionally, these stones can be found in the urethra or in the kidneys. In some cases, the stones can be flushed out of the body or dissolved. In other cases, the crystals must be surgically removed. They occur in both male and female cats. An additional cause of the development of struvite crystals in cats is that cats do not drink water naturally. They've evolved over​ a millennium to get most of their moisture from prey. This, partnered with dry cat food, can lead to crystal development in the cat's body. 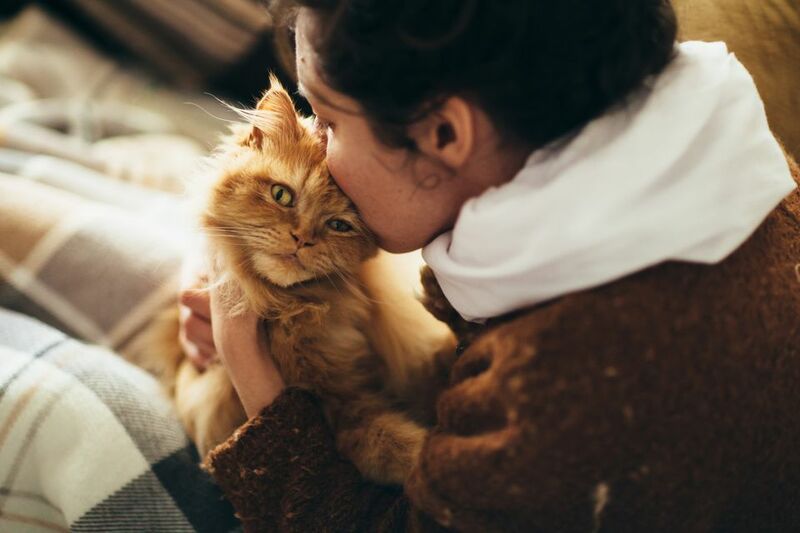 If your cat is exhibiting some of the symptoms, it is best to schedule an appointment with your veterinarian right away. The vet will examine your feline and might be able to feel a thicker bladder wall during the physical examination. The vet will likely take urine samples to examine the urine for any abnormalities. Additionally, ultrasounds are often used to view and determine the size, shape, location, and number of stones. This will help dictate the treatment options. Depending on the case, other imaging tests may be conducted to determine if there are other medical conditions that may also be present. The treatment of struvite crystals is based on removal. The goal is to create more acidic and diluted urine. To successfully remove them, the crystals need to be flushed out, dissolved, or surgically removed. To dissolve the stones, a monitored diet is the best course of action. Treats and snacks should be avoided and wet canned foods can help prevent new stones, although some cats will find this food unappetizing. The crystals can take from two weeks to five months to completely dissolve. If the struvite crystals are in the urethra or in the tubes that connect the kidneys to the bladder, they need to be surgically removed. Prior to surgery, sometimes antibiotics are prescribed to prevent other infections and reduce inflammation. The best line of defense (and prevention) is a balanced raw meat diet that should help eliminate struvite crystals and prevent them from recurring. This will encourage a more natural pH in the urine. The naturally occurring water content of raw meat (usually containing 75 to 80 percent moisture) creates a more diluted urine that's not conducive to the formation of struvites. Feed your feline small meals frequently which will help reduce fluctuation in urine pH. Provide fresh water places in multiple water dishes in different places. Try a fountain to pique your cat's interest. You can also offer chicken broth instead of water to encourage your cat to drink more. Provide a sufficient number of litter boxes placed in quiet areas. Decrease stress by reducing major changes in routine.